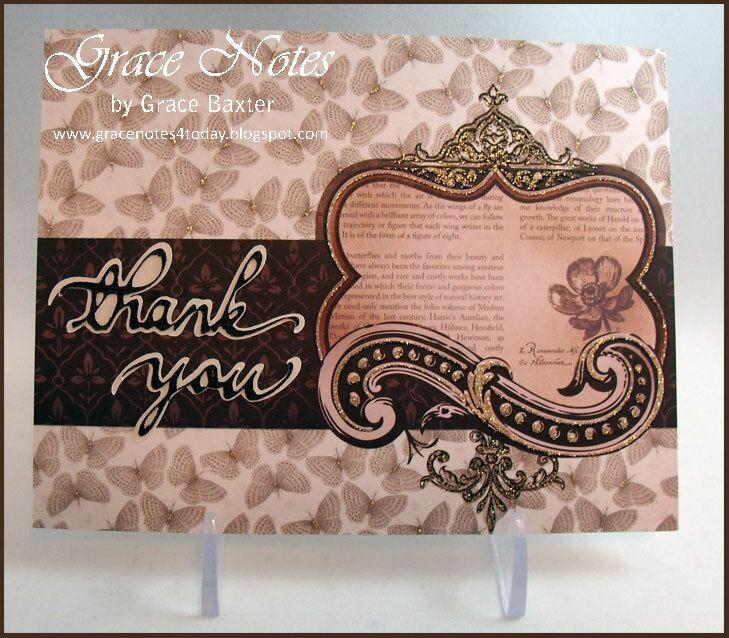 My fourth and final 'thank-you' card in this series was created for a gentleman. It's just like his style, regal and sophisticated. 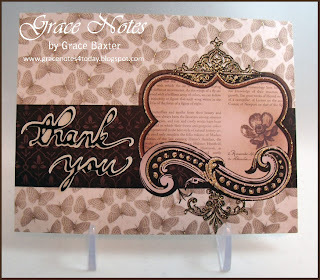 For this quick-and-easy card, I let the cardstock do most of the work. It is already embellished with embossing and sparkly gold accents. So all I needed to add was the 'thank-you' sentiment. For this, I once again used my Beyond Birthdays cartridge and cut the phrase from black, shadowed in cream. It's often hard to find the right paper designs to suit a male recipient. I think this one fills the bill.